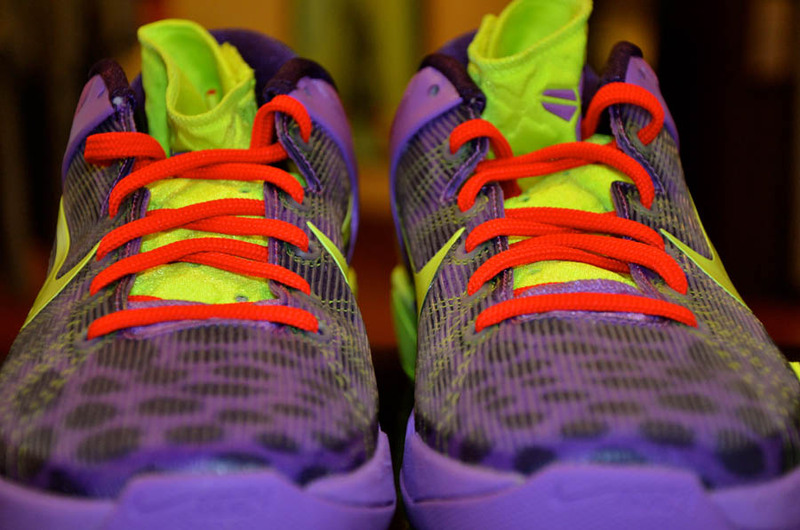 Nike Kobe VII Supreme - Christmas Day "Leopard"
New photos of Kobe's outlandish Christmas Day shoe. Playing a lockout-induced modified schedule, the NBA will tip off the 2011-2012 regular season on Christmas Day. As usual, Nike Basketball has a full lineup of special Christmas styles ready to roll out, including this head-turning colorway of the brand new Kobe VII. 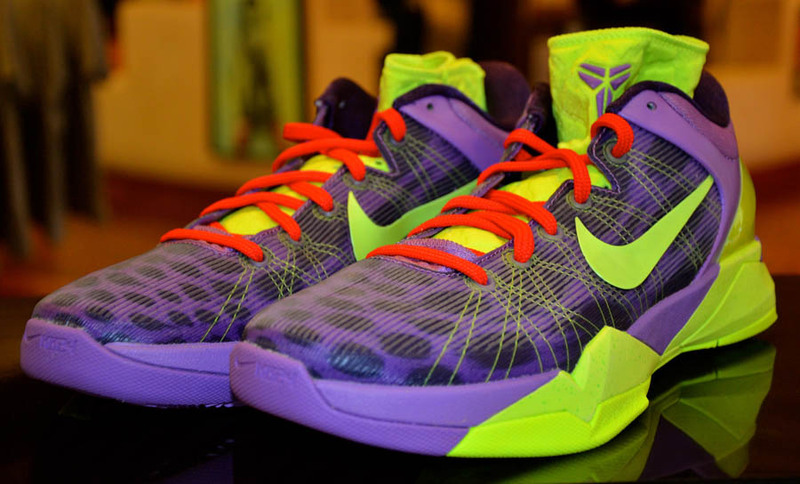 Part of the Kobe VII Predator Pack, the Christmas "Leopard" Kobe VII sports a spotted violet base with contrasting hits of volt on the Swoosh logos, Attack Strong insert (purple for Attack Fast), Flywire threading and heel counter. The laces are done in Action Red, while black handles the inner lining and a cheetah logo on the heel. 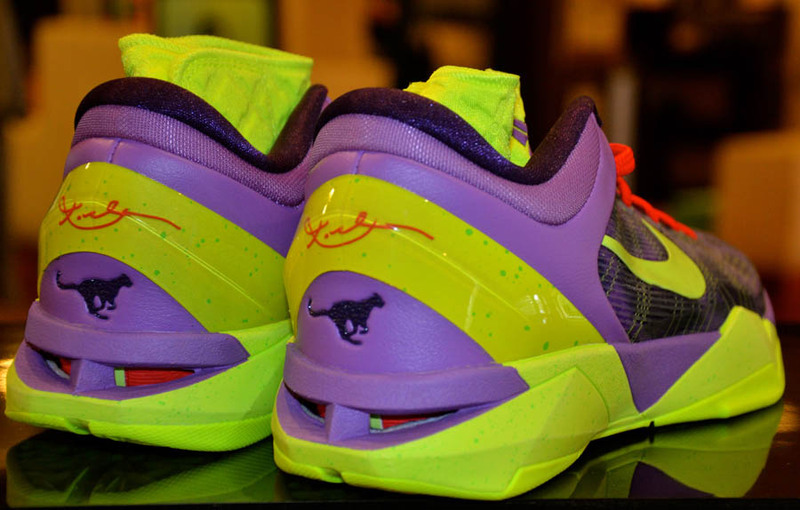 A combination of purple and volt work the midsole and outsole to finish off this somewhat otherworldly look. Priced at $180, the Christmas "Leopard" Nike Kobe VII will hit Nikestore on December 25th and physical retailers like Sole Boutique on December 26th.